I think I can see why they are called stilts. Magnificently disproportionate birds! They seem to only be on the southern most point of this 22 mile ling island . I can't understand why they never leave the southern point. Year after year every time I visit the southern point they are there. Beautiful photograph! You should consider having your photos published, they are so amazing. 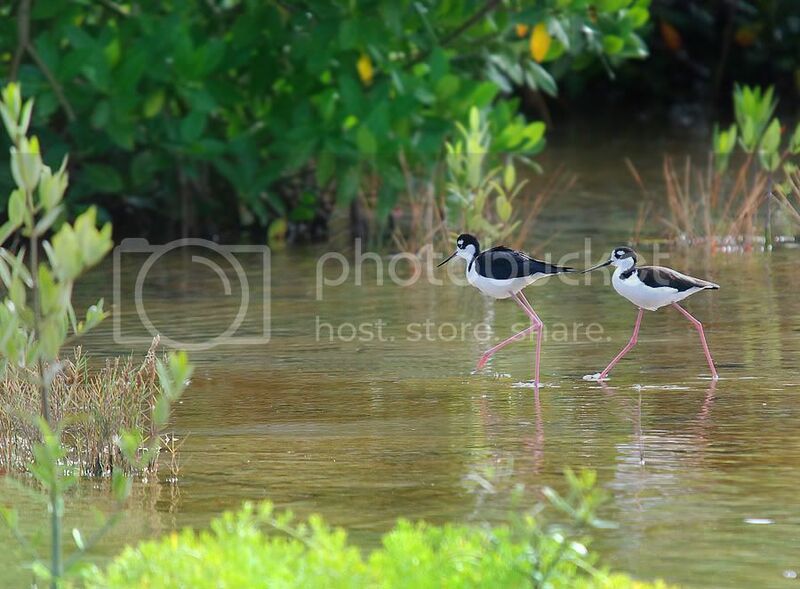 I remember seeing Black-necked Stilts in Bermuda...the weirdest looking birds haha. thanks , and yes the galleys are being proofed and I thinking it will be out for Christmas. Wow, they look quite small...or maybe it's just the picture (which is beautiful, as always). About 10 " tall. cute guys.